Next Glass gives you personalized beer recommendations. But well before I enter my Netflix coma, I’m faced with an arguably more important decision. What’s the perfect beer for my Friday night? This is a decision I do not make lightly. Which is why my willingness to turn over some of the decision-making power to a mobile app is kind of remarkable. Literally. I’m about to remark upon it. Next Glass is a new app, available on both iOS and Android, that uses a Netflix-style system to suggest brews based on previously rated beers. Here’s how it works: Once you sign up, the app prompts you to rate a bunch of different brands and styles of beer. The more you rate—both negatively and positively—the more likely the app will be to get your tastes right. 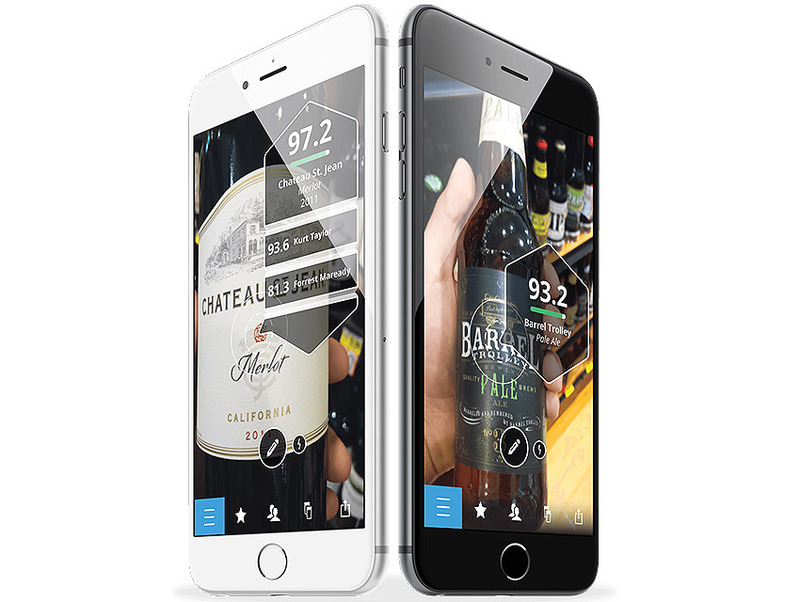 Once the app has a sense of your beer proclivities, it’ll prompt you to scan the label of a new potential beer mate. Field trip time! Whole Foods Venice, ground zero for the man bun and children made of flaxseed oil. But the beer selection is pretty good. Plus, it’s close to my writing perch in Santa Monica. Let’s see how well the app predicts what I’ll like. Of course I’m cheating because I have already tried these beers. But my cheating will prevent me from getting wasted while writing this article. We all win. First up, Chimay Rouge. Not a go-to beer for me, but I like a good dubbel. I hold up my phone and scan the label, and Next Glass presents me with the likelihood that I’ll enjoy this beer based on my previous ratings. Score: 91.5 out of 100. Not bad. Next, Lagunitas Pale Ale. Hmmm, 91.3? There are about 200 beers I’d buy before this one. Not that it’s undrinkable. But…meh. OK, can Next Glass hit two out of three? The Bruery’s Saison Rue is a great farmhouse ale, one I quite like. Score: 88. OK, I’ll call that a win. The magic of Next Glass, though, is that the more you rate, the better the app will be at predicting your tastes. Just like Netflix. Now this app is not for the cicerones among us. And yes, there’s a wonderful romance to just picking a bottle and hoping you’ve hit the jackpot. But if you’re overwhelmed in the beer aisle, and you don’t like the idea of throwing 10 bucks at a beer you might not like, take Next Glass for a spin. Just remember to rate the beer after you’ve tried it.